We at Edex Technology would like to introduce the latest industrial computer series with the following Motherboard. The SHB120 high-performance PICMG 1.3 full-size CPU card is designed for the latest 22nm 3rd generation Intel® Core™ processors using LGA1155 socket, delivering significant performance, power savings and graphics enhancements. Based on the 3rd generation Intel® Core™ i5/i7 processors with Intel® Q77 Express chipset, the SHB120 supports the world’s first 3-D transistor, Intel® Turbo Boost 2.0 technology, Intel® Hyper-Threading technology, Intel® HD Graphics, and PCI Express 3.0 x16 slot. The outstanding single board computer also supports 16 GB DDR3 1600/1333 unbuffered memory, SATA RAID, PCIe x4 expansion, as well as Intel® Active Management Technology 8.0 for network-intensive applications. With the integrated Intel® HD 4000 graphics engine with DirectX 11 technology, the SHB120 offers advanced 3D graphics and dual display view via DVI and VGA or optional DisplayPort. This high cost per performance value single board computer is ideal for applications in network security, storage server, POS, kiosk, medical, gaming, digital signage, and surveillance security monitoring. 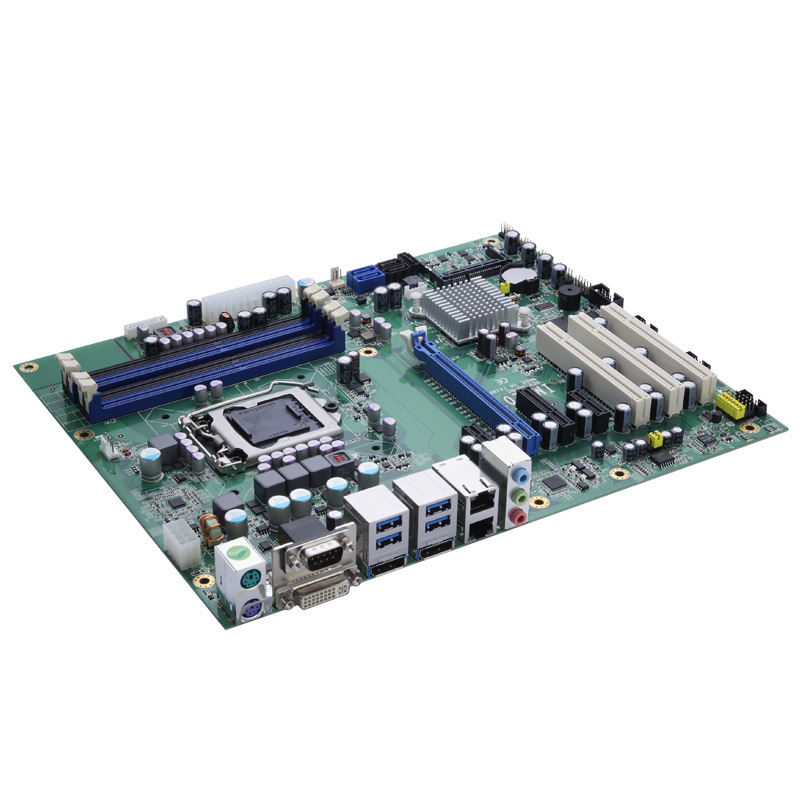 With the above new released, Edex would like to call upon all system integration and machine builder to explore and evaluate the new mother board where the high performance like the c216 server chipset that support Xeon processor may be your choice for your future vision system and automation system deployment. Please CLICK HERE to view what are the option of industrial PC chassis you may need. We would be very happy to serve you from there. thank you very much & you have a nice day.